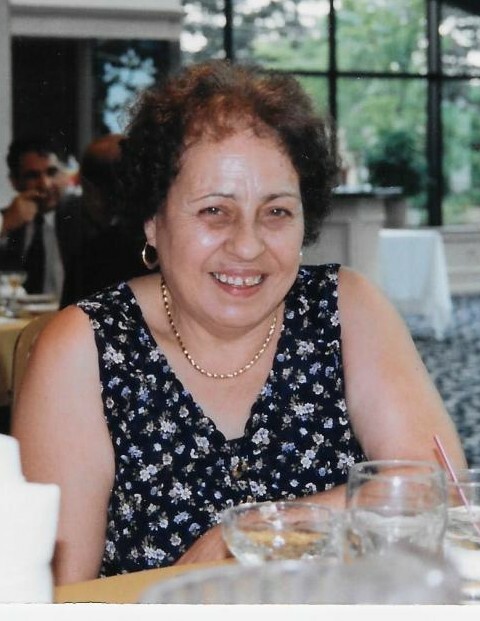 Mrs. Francesca Cannici Agostaro, 90, died Monday, November 26, 2018 in the Overlook Medical Center in Summit, New Jersey, surrounded by the love of her family. Visitation will take place in the Kowalski Funeral Home, 515 Roselle Street, Linden, on Friday, November 30th. from 4:00 – 8:00PM. There will be a prayer service offered by the Reverend Bryan Wolf in the funeral home on Friday evening at 7:00PM. The entombment will take place in the family crypt in the Gratteri Cemetery in Gratteri, Italy. In lieu of flowers, please make donations to the St. Elizabeth Roman Catholic Church. You may make your donation at the funeral home during the visitation or by mailing the donation directly to the church office at 179 Hussa Street, Linden, New Jersey 07036. Mrs. Agostaro, the daughter of the late Concetta Campagna Cannici and the late Rosario Cannici, was born in Gratteri, Italy. In 1967, she came to the United States and has been residing in Linden, New Jersey ever since. Although she was a home maker for most of her life, taking care of her precious husband and sons, Mrs. Agostaro was a very talented seamstress. After her formal schooling in Italy, Mrs. Agostaro went to a special trade school to learn how to properly sew and prior to her marriage, she worked as a seamstress in Italy. In the United States, Mrs. Agostaro worked as a seamstress for both the Arthur Dress Company in Linden, New Jersey for ten years and the Royal Knight Lamp Shade Company, also in Linden, New Jersey, for fifteen years before she stopped sewing professionally in 1998. During her years of work and even in retirement, Mrs. Agostaro’s hands were never idle, as she loved to cook for her family and friends, tilled a very large backyard garden and was always making intricate crochet items. Predeceased by her husband, Vincenzo Agostaro on May 7, 2012, Mrs. Agostaro is survived by her two sons, Tony Agostaro and Rosario Agostaro and his wife, Gayle; her brother, Joseph Cannici; her two sisters, Jacqueline Freeman and Maria Cannici LaMartina and her two grandchildren, Vincenzo Agostaro and Gabriella Agostaro.